The man was arrested yesterday morning. 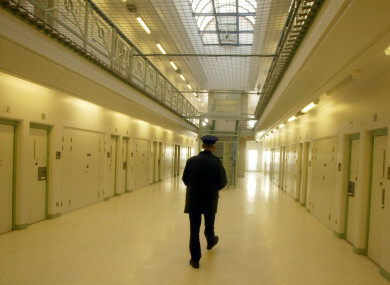 Stock photo of Maghaberry Prison. A PRISON OFFICER was one of three people arrested by the PSNI in relation to drug trafficking into Maghaberry Prison in Antrim. The 23 year-old prison officer was arrested yesterday morning at 10.20am on suspicion of misconduct in public office, possession of criminal property and being concerned in the supply of Class A and B drugs. Two women, aged 55 and 26 were also arrested on suspicion of conspiracy to “convey prohibited articles into a prison”, and possession with intent to supply Class A & B drugs. Email “Prison officer arrested on suspicion of drug trafficking into Maghaberry Prison”. Feedback on “Prison officer arrested on suspicion of drug trafficking into Maghaberry Prison”.